Take a good look at your screen. What you're seeing is a spacious small/medium sedan complete with twin airbags and a healthy serving of fruit for just $19,490. Throw a 3-year/100,000km warranty in with the deal and you can see why plenty of buyers will be attracted to the new GM-Daewoo Lacetti SX. Yes, the new Lacetti offers a lot of car for modest money - but is it good enough to qualify as a leader in this very competitive segment? The first thing that hits you about the Lacetti is the generous amount of interior space. The new Daewoo is larger than the superseded Nubira and - in addition to the sheer size - the interior space utilisation is impressive. There are absolutely no problems fitting four 6-foot tall people in the car. Shoulder width is restricted with three abreast on the rear bench, so think of this as a comfortable 4-seater. 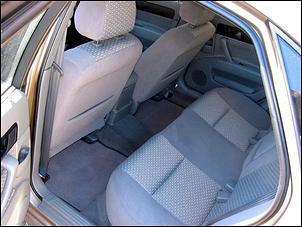 The interior also has a quality overall feel. The dashboard design is something you'd expect to see in a Euro and nothing strikes us gawky - no fake woodgrain or anything like that. The HVAC controls are refreshingly simple to operate and all other controls are thoughtfully located. Our only gripe is the detachable face Sanyo is a little finicky to operate. The left-side indicator stalk may also take some getting used to. The Lacetti SX's features list is impressive for a $20k sedan. Standard equipment includes power front and rear windows, power mirrors, remote central locking, alarm/immobiliser, air-conditioning, map lights, twin vanity mirrors and even a cooling duct into the glovebox (great for keeping chocolates cool). The 6-speaker single CD/tuner offers good clarity and can reach high listening levels before distorting - a very impressive system for such a cheap car. Instrumentation comrpises basic tacho, speedo, fuel level and coolant temp gauges, but it's all easy to read. The Lacetti's driving position can be tailored using the front and rear cushion height adjustment, reclining backrest, adjustable lumbar support and tilt-adjustable steering column. The steering wheel and gear knob don't feel particularly flash, but that shouldn't be any real surprise. What is a surprise is the discomfort of the front seats. Coupled with a ride that's quite taut at low speeds, the Lacetti's firm front seats cause some aching after more than about half an hour at the wheel. Certainly, we noticed front passengers beginning to squirm in the seat after relatively short stints. Testament to Daewoo's focus on space utilisation is the bewildering number of storage compartments - no less than 20 can be found throughout the cabin! Rest assured you'll never be short on knickknack space. The boot is quite basic but offers impressive volume (405 litres), good access and storage for a full-size spare wheel. The split rear backrests can also be folded forward to expand the load area. Interestingly, the centre rear belt doesn't have a permanent lower anchor point - pull the belt from the retractor reel and there are two buckles that clip into a left and right side buckles. Aside from the overly firm seats, the Lacetti is quite pleasant to drive. 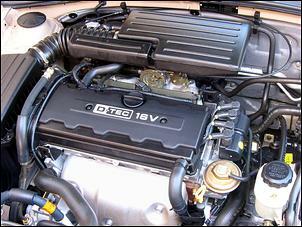 The 1.8-litre, DOHC, 16-valve, four gives the Lacetti strong throttle response and a usable spread of torque. It's not the sweetest revving engine in the class, but most drivers will have no need to approach the 6500 rpm redline. Peak torque (165Nm) arrives at a relatively high 4000 rpm, but you'll find ample torque below that. Maximum power is listed at 90kW at 5800 rpm. The Australian-built Family II engine features the latest 32-bit Delphi engine management system (using a MAP sensor load input), 9.8:1 compression, a variable induction system and large volume mufflers and air intake resonators and airbox in order to minimise noise. There are no objectionable intake or exhaust noises but the engine does have some whirs and buzzes at higher revs. Overall, though, the Lacetti cabin has quite low NVH. Our test vehicle was equipped with the base 5-speed manual gearbox, which offers a nicely positive shift action together with a light clutch pedal. A lockout collar is used to prevent inadvertent engagement of reverse gear and there's a reverse gear synchro to eliminate any embarrassing crunches. Note that a 4-speed automatic transmission featuring Adaptive Shift Control Logic is available as an option. This will set you back an extra $2000. In 5-speed manual form the Lacetti is never left behind in normal traffic and - without being brutal - the car can sprint to 100 km/h in around 10.0 seconds. 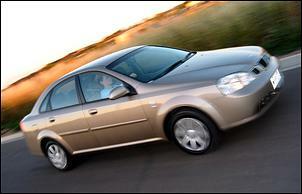 GM-Daewoo claims a top speed of 194 km/h. Fuel consumption during our test averaged 8.2 litres of ULP per 100km; this included a lot of spirited driving and photo session manoeuvring, so you can expect better than this in normal conditions. A 60-litre fuel tank gives the Lacetti a considerable touring range between refills. Poised on MacPherson struts at the front and a dual link IRS, the Lacetti could never be placed in the "soft-as-a-pillow" basket. The ride is strongly damped at low speeds but smooths out as you drive faster. Suspension travel is ample. Perhaps thanks to the relatively taut suspension, the Lacetti is an enjoyable handler. Turn-in is sharp and the chassis is nicely balanced and throttle controllable. Grip from the 195/55 15 Kumho Powermax rubber is decent, though there is noticeable tyre noise over some road surfaces. The Lacetti's power-assisted rack and pinion steering is appropriately weighted but we were surprised by the sensitivity at straight-ahead, especially at higher speed. Some drivers - depending what they've stepped out of - may take a while to get accustomed to this. Torque steer and steering kickback are minimal. Stepping on the brake pedal actuates the Lacetti's 256mm ventilated front and 258mm solid rear discs. These provide stable braking, though the lack of ABS (even as an option) is notable - only the $24,790 Limited Edition gets ABS. The Italian design house of Pininfarina is responsible for the styling of the Lacetti. The high waistline is said to provide a solid on-road appearance while the high boot-line contributes to a 0.338 Cd. 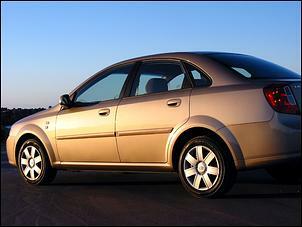 "Jewel effect" headlights, extensive colour coding and 15-inch wheels (with very Audi-like hubcaps) complete the look. 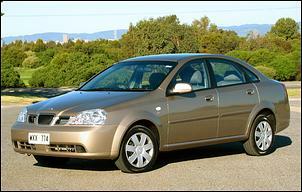 To many eyes, the rear styling looks awkward and the trademark Daewoo tri-grille is too fussy. Forty percent of the Lacetti's body is made from high or extra-high strength steel while the 3-piece B-pillar is assembled using a tailor welded blanking method. Daewoo emphasis the structural rigidity of the cabin, with added safety coming from the twin airbags, five 3-point retractable seatbelts (height-adjustable in the front), five height-adjustable head restraints (angle-adjustable in the front) and ISOfix fittings for a child seat in the rear. Visibility is decent, though the boot is invisible from the driver's seat and there's a considerable blind area behind the opposite A-pillar and exterior mirror. Built in South Korea, the Lacetti's quality is to a high standard. An occasional clunk from the front-end and a plastic dag on the handbrake lever button were the only complaints on our test car. Panel fitment and paint quality were good and the doors shut reasonably well. So how does the $19,490 Lacetti SX manual measure up to the competition? In short, very well - but be aware that there's tremendous heat in this category. There are no less than ten comparable vehicles from other manufacturers, ranging from $17,990 (for the Kia Spectra) to in excess of $22,000 (for a Proton Waja or Ford Focus CL 4-door). Nissan Pulsars, Holden Astras, Toyota Corollas and Mitsubishi Lancers are amongst some of the other cars vying for sales in the class. The Lacetti SX 5-speed has impressive space in its favour, along with an impressive features list and decent on-road dynamics. On the downside, the front seats are too firm (especially when combined with a taut low speed ride), the engine has an annoying jerk when re-applying throttle and sections of the body styling are questionable. We think the Lacetti is one of the category front-runners - and a lot of small/medium sedan buyers will recognise it that way too. 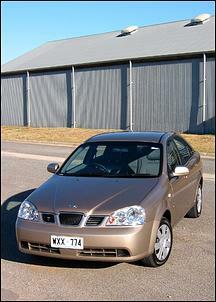 The Lacetti SX 5-speed manual was provided for this test by GM-Daewoo Australia. http://www.daewoo.com.au/ A GM-Daewoo carry bag was given to the author.